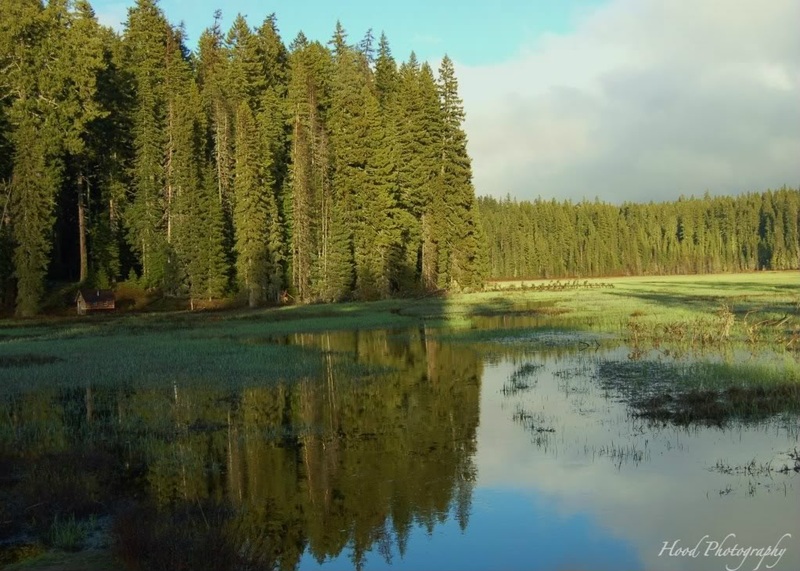 This soggy meadow is known as Clackamas Meadow, and is part of the Clackamas Lake Ranger Station Historic District. The small building you can see in shadows of the photo is one of eleven historic buildings in the compound, and is listed as a historic district on the National Register of Historic Places. i want to climb into this photo and spend a week or two in utter solitude. was down in Vancouver last weekend - got to visit Portland a bit too - am always struck by how green it is! The see is a beautiful mirror. I'm having a heck of a time trying to leave comments on your photos lately. It's not recognizing my blogger sign in attempts even though I am signed in. Great photo though! Does the water in the meadow dry up?